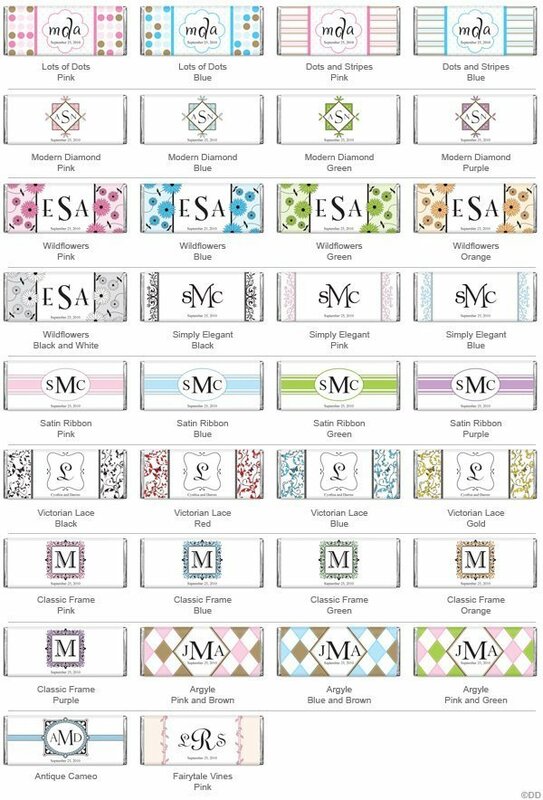 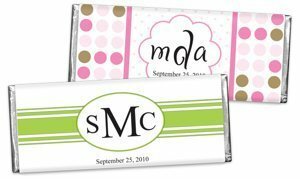 A fabulous wedding or birthday party favor, these standard-size, 1.55 oz chocolate bars or wrappers are available in a variety of Trendy or Classic monogram designs so you'll be able to choose something to coordinate perfectly with your event. 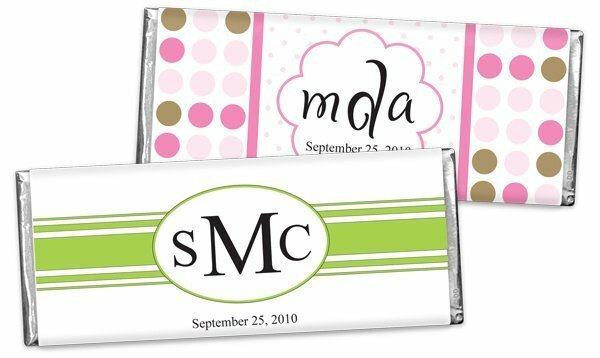 We customize the wrappers with a monogram as well as a date of your choice. 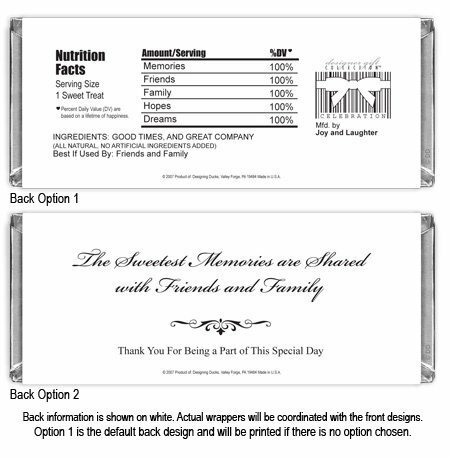 Place one at each table setting, or include them in your favor bags for a great take-home gift.